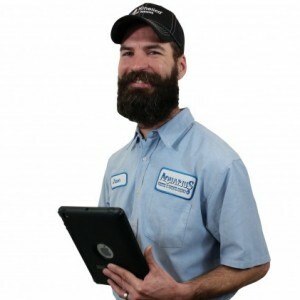 Dave F has a 5-Star rating and leads the company in total reviews, making this pro a ReviewBuzz Rockstar! Dave has been married for 20 years with one son (13). His family also has laying hens and a koi pond! In his free time Dave watches hockey! In fact, he's a fanatic! Go Wild! I never had soft water before, and awesome to have perfectly clean water for our baby. We couldn't even wash our clothes or power wash the house without rust standing before the system was installed, now it's awesome! Thank you Dave Frechette. Excellent service! Friendly hard working employees! The water system was recently installed and is fantastic! The coffee tastes delicious, .......the sales experience with Dave was top notch!!!!!! The install was amazing! We highly recommend Aquarius and Kinetico. Love my water from Kinetico ? ?What a difference it made my hair and clothes are so much cleaner. And I can actually drink my water now. So clear and no smell, plus what excellent service we received from Dave frechetthe. And the installers were also very professional.. Very pleased. We are so happy we went with Kinetico. Dave F. was a great representative. He was honest and we never felt pressured. Kyle did our install. Such a nice guy! He kept me informed along the process and even offered to come back on a weekend to install the drinking water (we weren't as ready as we thought). It is worth the price to have these guys and this system. Thank you so much Kinetico and Dave! We now love our water and have enjoyed working with you. 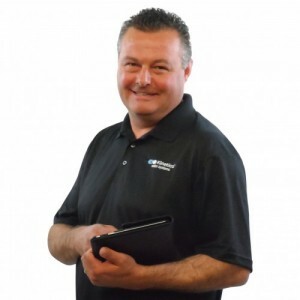 The customer care and service is excellent and Dave has been such a pleasure to work with! We could not have had a better experience from the initial analysis to the install and follow up. Again, THANK YOU! Water is amazing, we are very pleased with the results. Dave has been very easy to work with, thorough and informative. Dave frechette was a wonderful sales man. He knows in his product and believes in his product. He was very involved before the install. But the best part was he was involved after the install to make sure everything was running properly and to test to make sure the water was perfect. Thanks again Dave. Dave Frechette was agreed sale man. He knows his stuff and also believes in his product. He was very involved with us during the whole install part of the water treatment. But the best part about Dave was that he was also involved with us after install and made sure everything was working to his standards. Thanks again Dave. We have been very happy with the Kinetico and Dave Frechette who assisted us with getting the system . 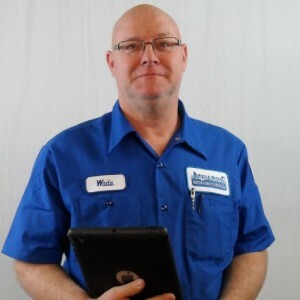 He is very helpful and customer oriented to help with our questions. We have very hard water here on the lake and it softens it perfectly! We could not be more happy! My water stunk, was dirty, and it was never soft. Dave Frechette from Kinetico came out and put a new system in my house, and it's the best water I've ever had in my life, and now I actually drink the water instead of bottled water. Thanks Dave and thank you Kinetico, you are the best! Night and day difference in my water. I can see the bottom of my bath tub, draw a clear glass/pan of water for drinking /boiling, and finally wash my whites at home without ruining clothes! My Kinetico contact Dave answered all my questions and is a local! Dave genuinely cared about my water issue, truly a professional and I appreciate the follow up after the sale ensuring my satisfaction to date, thanks! I have had Kinetico in my home for over 20 years, now added the K5 drinking water. Dave assisted me with this process, and I love it! Thanks Dave! Dave Frechette presented the product. 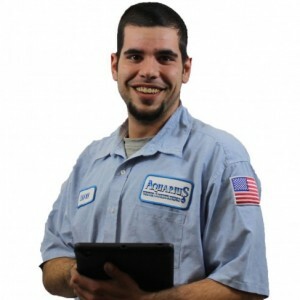 He was very thorough & explained everything in detail, even though we are a 2nd time customer. He followed up with us by phone to see how the system was working. Stopped back for a final follow up. 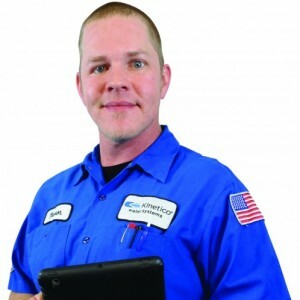 We were very pleased with his service, very knowledgeable. Great customer service. Dave Frechette stopped back in to do a follow up. The dishwasher looks like new again! Very happy with the product it is worth every penny. Love my Kinetico water softner! Dave Frechette came out and was very knowledgeable and tested my water and set us up with a great deal. Could not be happier it's like I've never felt soft water until now. Everyone we met from Aquarius was professional, friendly, and helpful. It was like having a good friend over to help solve a problem.